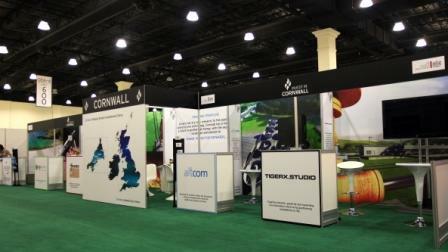 Cornwall won the ‘Best in Show’ award for its stand at the recent Geothermal Expo in San Diego. Five Cornish companies, TigerX.Studio, Altcom, Calidus Engineering, Fugro Seacore and EGS Energy were brought together by Invest In Cornwall, the county’s inward investment service, and UK Trade & Investment (UKTI) at the expo, one of the largest events of its kind. Over 2,500 delegates from 13 countries were asked to vote for the best stand at the show based on its visual appeal and content. If you and your business is interested in the USA, Export Cornwall who works with UKTI, are hosting a great FREE workshop on the 22nd November in Truro on how to enter the US market. Hosted by Russ Froneberger, President of Global Consulting and Affiliates, a consulting firm headquartered in Columbia, South Carolina. Russ has 40 years experience in corporate marketing and unrivalled experience in creating partnerships and opening doors in US markets.